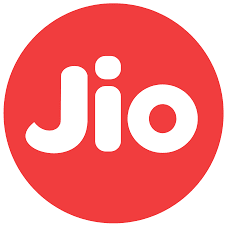 Reliance Jio 4G Plans Prepaid (data, voice calls, SMS, video calls): Recently Jio has extended the welcome offer until March 2017 as Jio Happy New Year offer.JIO 4G tariff plans are much cheaper than any other telecom offers for 4G services.Mukesh Ambani said that Jio will charge only Rs. 50 per GB, and the rates could go down to Rs. 25 per GB for heavy users. 1)Unlimited Data, Calls and SMS free till 31st December 2016. 2)Data cost at cheaper rates 5p/MB (Rs 50/GB). 3)No roaming charges, across India, any network. 4)Unlimited Free calls on any network in India. 5)No Roaming charges any network, all India. 6)Students to get 25 percent extra data on the tariffs if they show a valid ID when signing up for Jio. Currently, JIO welcome offer if free to all 4G smartphone users till 31st Dec 2016. From 1st Jan 2017, you need to recharge a tariff for your SIM number from JIO online recharge portal. Note : If any Correction of Data Kindly Send Email to Us :( Districtsinfo.com@gmail.com ) We will update in our Website.